Property purchase at the initial construction stage always has some risks. 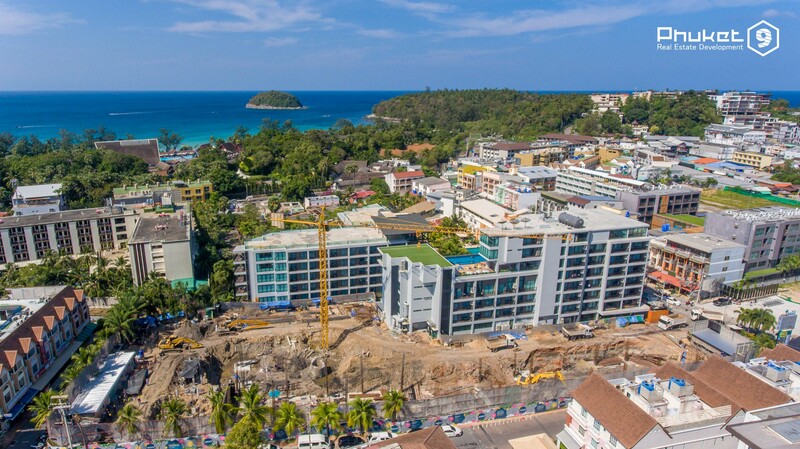 In 2016-2018 there were more than 50 projects under construction in Phuket – all of these projects can be found on our website in the list of Phuket condominiums. Almost all new developments in Phuket announce about sales start even before the construction. And it has some risks. Until EIA is received developer cannot start works such as pile pressing and foundation construction. The only thing that can be done is land clearing and preparation. And that’s what developers do in order to start sales as soon as possible before receiving EIA. Developers set pre-sale prices what helps them to predict demand for property and amount of sales, make some corrections to the project, get advanced reservations for apartments and plan out the budget. It’s not a secret that before construction works start and project documentation is prepared there are highest risks for property investment. Risk 1: the process of gaining EIA can last for a few years. To receive EIA developer should have a complete package of project documentation. ONEP is responsible for EIA issuing. 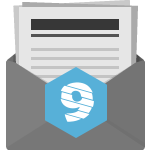 The process of gaining EIA can last for 6 months at the best case. During this process project documentation is checked by a few committee meetings. If any remarks are found project is not accepted and needs to be improved. After improvements are made the time of next committee meeting is appointed, usually after 2-3 months. It is possible to gain EIA on the first try only in case if project documentation was prepared by professional engineer and architect who have already had the experience of such job. To stem a risk wait until developer gains EIA and don’t make prepayments because if your first payments are not in use you can lose income. In most cases pre-sale means that developer needs to use customers first payments. When buying land developer can only make prepayment and after that pay by instalments within 1 or 2 years. This way developer can start construction paying only 10% of the whole development cost. In some coastal territories the land price can be up to 50% of the whole project cost. In this case developer can offer a customer to pay 50% of cost before construction works start. If developer doesn’t have it’s own budget, construction will depend on income from sales only. It has a risk of long-term construction works because of unstable property market. To avoid this situation you can ask real estate agency or law firm to check the developer company. Always check developer portfolio, learn all information about developer. But the best option is to wait until at least foundation construction will start. What are the benefits of property purchase at the initial construction stage and how do developers encourage it even before construction works start? Lower price – more risk. Every new project which started sales at the initial construction stage will offer lower prices, discounts and predict price increase by the end of construction works. In most cases developers are the ones who increase prices and they can easily increase property price by 20-30%. Normally they can sell just 10-20% of low-margin property and after that increase the prices step by step making a fuss over sales. In fact, land cost in Phuket increases by 5% on the average. Sometimes land cost can increase by up to 30% – depending on location. One more benefit of buying apartment at the initial construction stage is big choice of apartments before they are purchased by risk-taking investors. The choice includes: view from the window, apartment location inside of building, leasehold or freehold. In Thailand 49% of condominium living space (for example, 49 apartments out of 100) can be registered under foreign customer ownership. This is one more reason why investors take a risk and buy apartments at the initial stage. This option is good if you are sure that property price will increase by 20-30% at the final construction stage. But the following factors need to be considered. Let’s say that you decided to sell your apartment at the final stage of construction. Maybe you will apply to property agency and agent will sell an apartment. But you should understand that you will compete with developer who will sell available apartments too. Competition with developer will include choice of apartments and also purchase terms. You should note that developer can offer discounts for available units because developer himself announced price increase. And you need to take into consideration the terms on which agents work with developer. In Thailand sale commission is paid by a seller so you should consider this when counting income. Today in the time of building boom developers pay 5-12% commission to agencies. So even though the price of your apartment increased by 20% by the end of construction, income will be less. If you will sell an apartment before registration (assignment of purchase/sale agreement), you will not pay 1-5% transfer tax. Today real estate market of Phuket is undergoing building boom. How long will it last? What will happen next? Will it have any influence on investments? When is the best time to sell an apartment and what is the best price? Presumably, building boom will last for 5-7 years more. The development of one project lasts for about 2 years. Taking into consideration that many projects start sales one year before construction works, project implementation takes 3 years in general. It is supposed that after 3 years more than 50 projects will be launched and rent competition will start because each project will need to pay 6-10% rental return to their buyers. Only after you start receiving rental return you can be sure that developer implemented a project. In this case building boom can continue, new projects will be launched and will compete with old ones. It means that secondary property will be more difficult to sell. If crisis occur in real estate market, there will be unfinished projects (today real estate market has just a few). The price of new projects can fall, investors will sell secondary properties at the minimum price. In case of crisis property price can fall to 15-20%. But Phuket will still be attractive as a tourist destination. Tourist industry development in Thailand will lead to tourist flow growth from 25 million to 60 million per year by 2020. Purchase apartment only after construction permit and EIA are received. Own apartment for a long term and gain rental return. Attentively read the payment terms. Note that payments for project under construction are more like a no-interest loan for a developer than interest-free instalment plan for a customer. Always remember about possible crisis, price fall, etc. Invest maximum 30-40% of your investments. Phuket is the biggest and the most rapidly developing resort in Asia. We have already written about island attractiveness for tourists and investors – you can read. Phuket9 company portfolio includes completed and launched condominiums, villas and hotels on the island. We construct and manage our properties and provide rental return for our customers. We start sales only after gaining all needed documentation. We start construction using our budget which is enough to complete construction. It’s private investment, no bank loans. We offer income already during construction period the next day after payment. If you want to know more information, please, contact our sales department.